This house, as altered in the 19th century, was of 4 bays and 3 storeys, with string courses between them, quoins and a central segmentally pedimented entrance sporting a cartouche of arms. Inside there was a fine timber staircase, with turned balusters of 17th century date, and the gate piers were contemporary sporting carved stone urns and a sundial bore the date 1688. These days there are no visible traces of Aldercar Hall. Like so many houses it was demolished in the early sixties considered surplus to requirement and too near the expanding industrialisation of Heanor and Langley Mill. Now it is all but forgotten but was once the home of a wealthy industrialist. There had been a previous house on the site but the last one was built by Thomas Burton in in 1668. By 1712 it was owned by the Milnes family and a century later was the home of Rev. John Smith. The Butterley Company was founded as Benjamin Outram and Company in 1790 and became one of the largest producers of iron in the country. One of its most famous contracts was providing iron for the Barlow Train Shed at St Pancras Station. 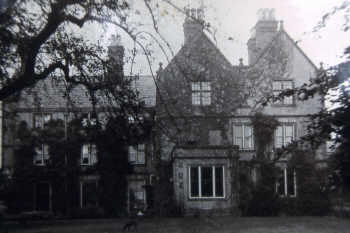 Despite improving the property Francis Beresford Wright lost interest in Aldercar Hall and made Wootton Court in Warwickshire the family home in 1882. The reserve price was never met and the auctioneer purchased Aldercar Hall on behalf of the Wright family for £10,000. It would appear that the house never left the family and by 1888 it was being leased or rented to Mr Frank Adams M.A. as a boys’ preparatory school. The school remained there until 1891 before relocating to Wellingore Hall, near Grantham. 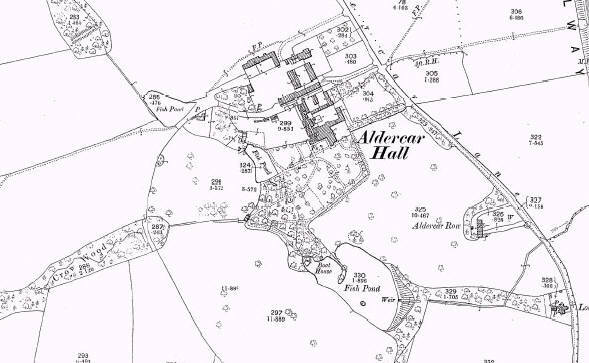 However, Aldercar Hall continued as a preparatory school, under the control of Mr E.H. Nicholls and Mr L.W. 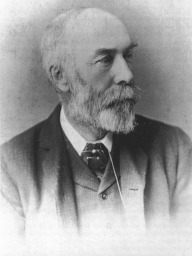 Compton, until around 1895. 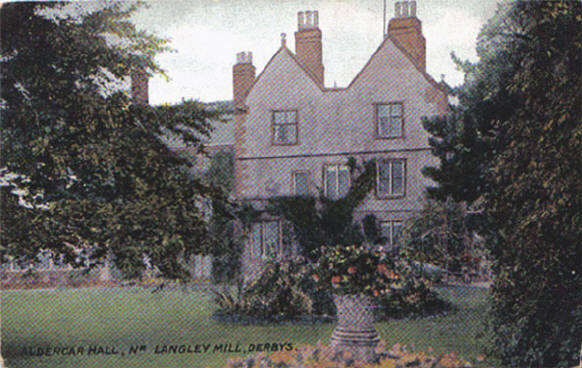 By 1898 Aldercar Hall was once again a Wright family home. 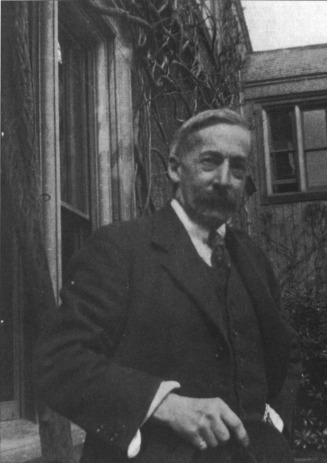 Now it belonged to Arthur Fitzherbert Wright (1865-1952), son of Francis Beresford Wright, who remained there until 1927. He left Aldercar Hall and moved to the family seat at Wootton Court until his own death in 1952. The house was reported to be unoccupied by 1930 and is understood to have remained so until the 1960s when demolition seemed the only viable option.